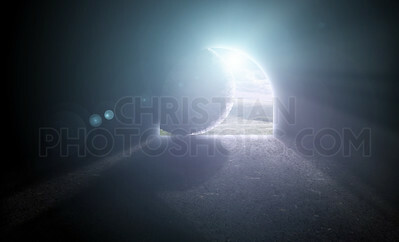 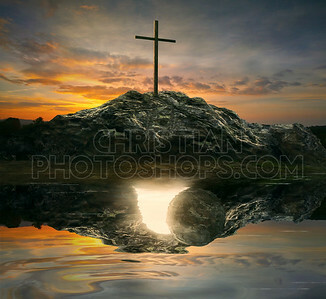 Empty tomb with three crosses on a hill side. 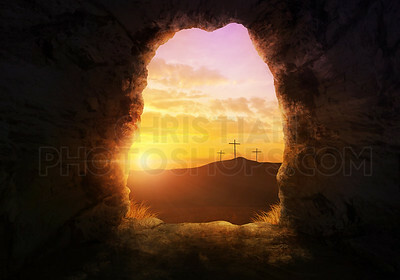 The stone being rolled away from Jesus' tomb. 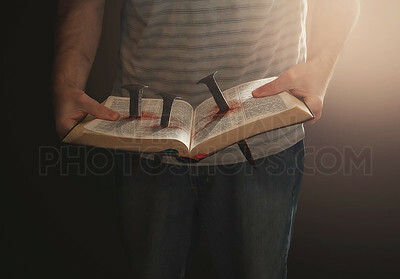 Man holding an open Bible with three bloody nails. 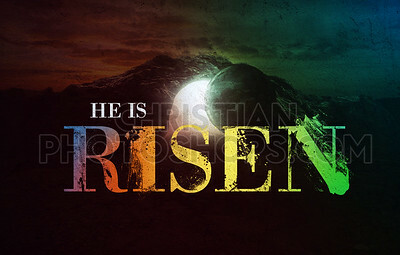 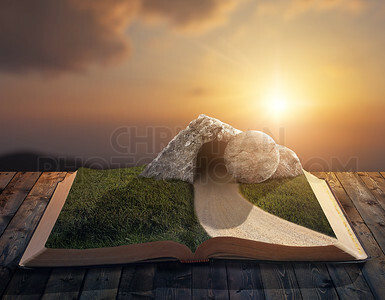 An open Bible with an empty tomb and stone on the pages. 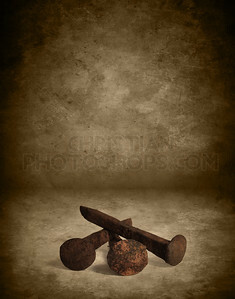 Three nails with a grunge texture background. 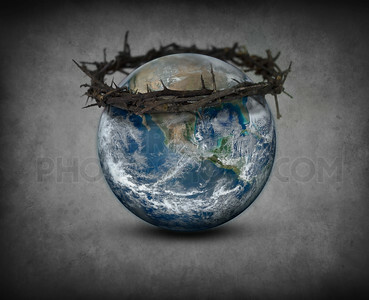 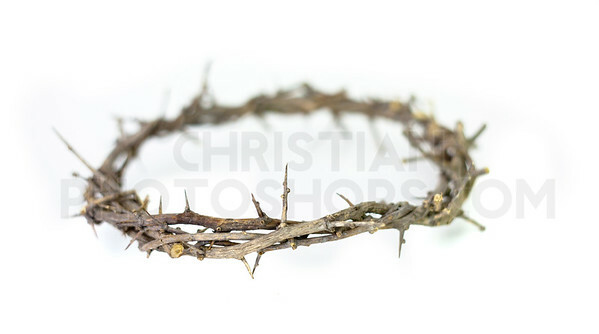 Crown of thorns on white background. 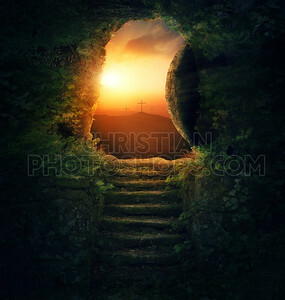 The stone being rolled away from the tomb at easter. 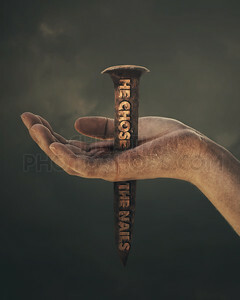 A nail going through a hand that says "He chose the nails"
The stone is rolled away from the grave on Easter morning. 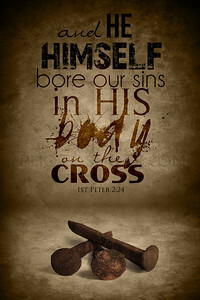 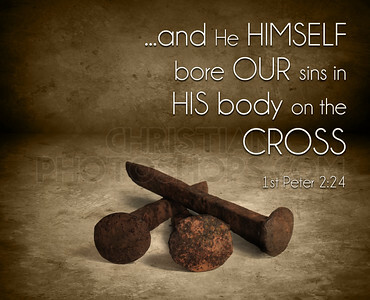 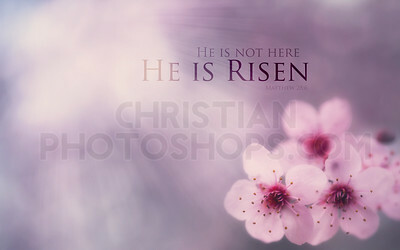 A single cross with the reflection of an empty tomb.